The letter below was sent to Kevin Rudd today and signed by 66 climate action groups, including Yarra Climate Action Now. The 66 Climate Action Groups signing this letter are completely shocked by your decision yesterday to further weaken Australia’s position on climate change. We believe that you have abandoned your duty of care to protect the Australian people as well as our species and habitats from dangerous climate change. We have consistently called for targets based on the best available climate science, which calls for reductions of at least 40 – 50% by developed countries by 2020. The 5% unconditional target would, according to the world’s top scientists, commit us to catastrophic climate change and the IPCC’s worst-case scenarios. The 25% upper target, if applied globally, would lead to at least 2°C of warming and the loss of the Great Barrier Reef. This is an untenable position and we cannot accept it. These targets also remain out of step with the unconditional targets agreed to by other developed nations (the UK, US and EU have agreed to cut emissions by 34-46%, 20% and 20-30% from 1990 levels respectively). 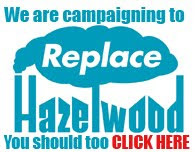 Remove the emission floor in the CPRS (which prevents emissions from falling below the 5% target), to ensure that individual action can contribute to additional emissions abatement over and above the 5-25% emissions reduction target band. The proposed ‘Australian Carbon Trust’ does not address our concerns on the need for individual action to be additional to the 5% target. The Trust simply formalises what individuals were always able to do anyway. Nomatter what individuals do to reduce emissions we can never go beyond the 5% target. Exclude both reforestation and deforestation from the Scheme – Groups note the current treatment creates a market distortion in favour of increasing native forest logging. This requires urgent rectification. Replace ALL free-permits in the CPRS with a system of Border Adjustments, to ensure that these sectors transition to a lower emissions intensity without being unduly disadvantaged in the international market. Change the requirements for the $3.9 billion of assistance to coal-fired generators under the CPRS to be conditional upon a phase-out plan for these generators.